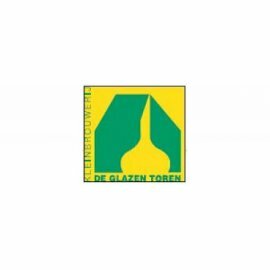 Founded in 2004, brewery De Glazen Toren has grown from a brewing hobby into a successful, professional company. The brewery has emerged strongly export-oriented, including bulk shipments of all beers to the USA and major vessel deliveries to Italy and recently to Japan. In Sweden, De Glazen Toren has been recognized as a national supplier by the State Importer ”Systembolaget”. Other export countries are Canada, Austria, Denmark, and since 2014 Australia as well. The brewery uses a new 27 HL brewhouse, built in Germany according to the plans of the brew masters of De Glazen Toren. The recipe of the steady growth should no doubt be sought in the mission of the brewery. De Glazen Toren stands for brewing unfiltered quality beers in a time-honoured, traditional manner in a very modern brewery, with the use of only the best ingredients, and without any additions or artificial means.